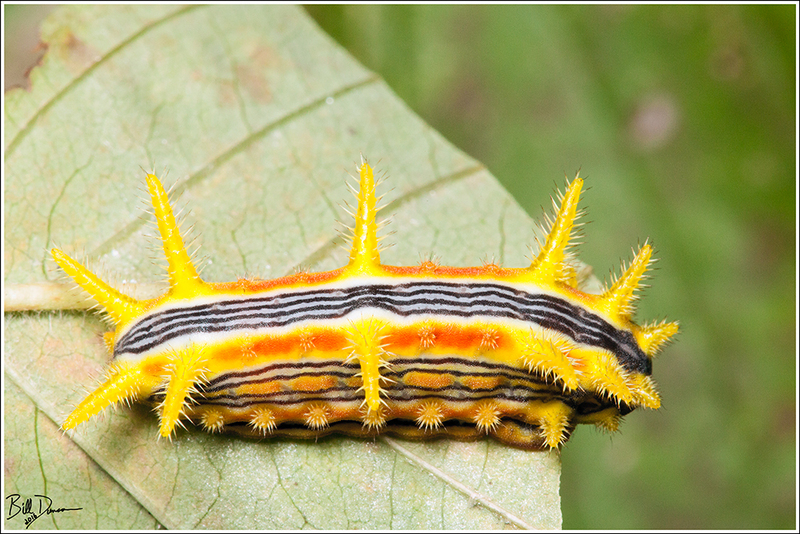 Stinging Rose Caterpillar -Limacodidae – Parasa intermedia (4699). Cuivre River State Park, Lincoln Co, MO. 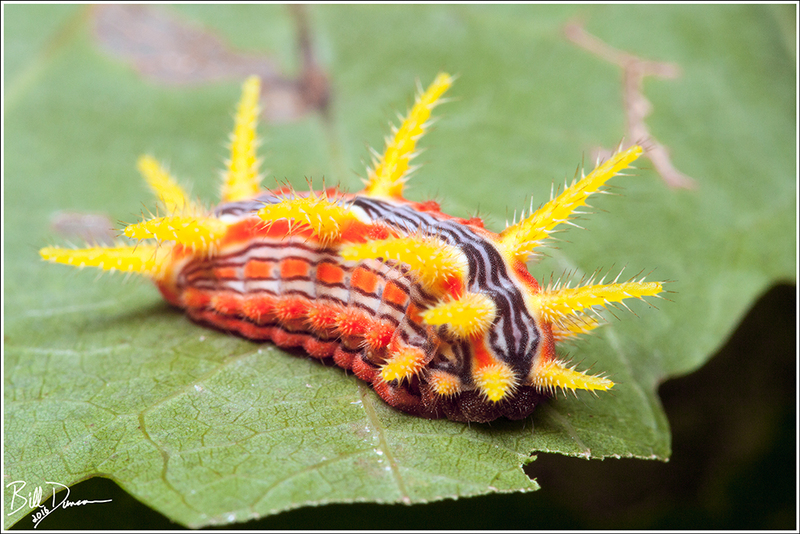 Arguably the most stunning of Missouri’s slug moth caterpillars, the Stinging Rose Caterpillar can most often be found on oak and hickory saplings. However, a number of other woody species (including those in the rose family) will also be used as host plants. 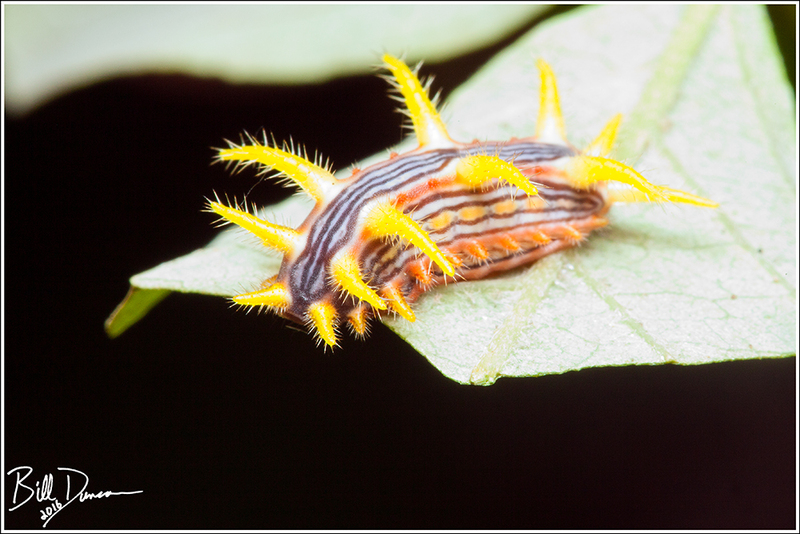 Stinging Rose Caterpillar -Limacodidae – Parasa intermedia (4699). Horseshoe Bend Natural Area – Washington SP, Texas Co, MO. This is one of the species I voluntarily allowed to sting me – it wasn’t that bad, perhaps a mild ‘stinging-nettle’ type of experience that was gone in 30 minutes or so. 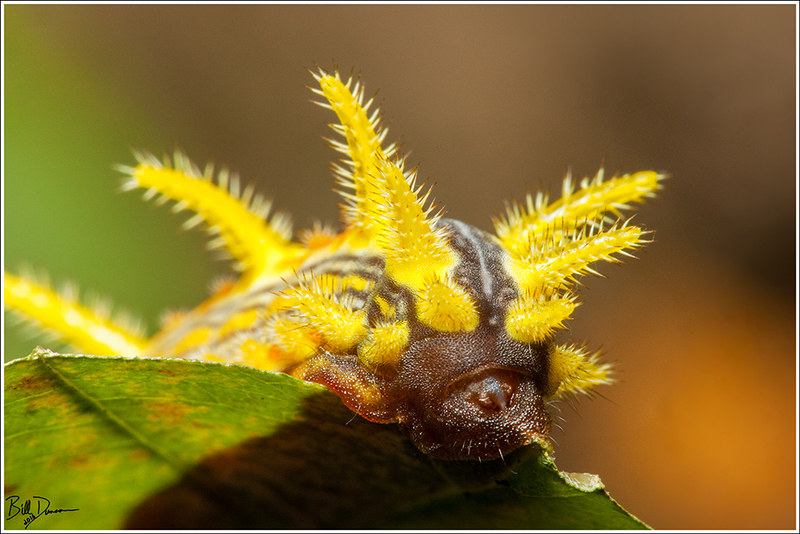 The image below shows a little of the variety of color and patterns that can be found in this species, this one showing more of a yellow/orange background. Some animals can be found that are completely yellow.